This is a pair of fabulous hooped earrings! 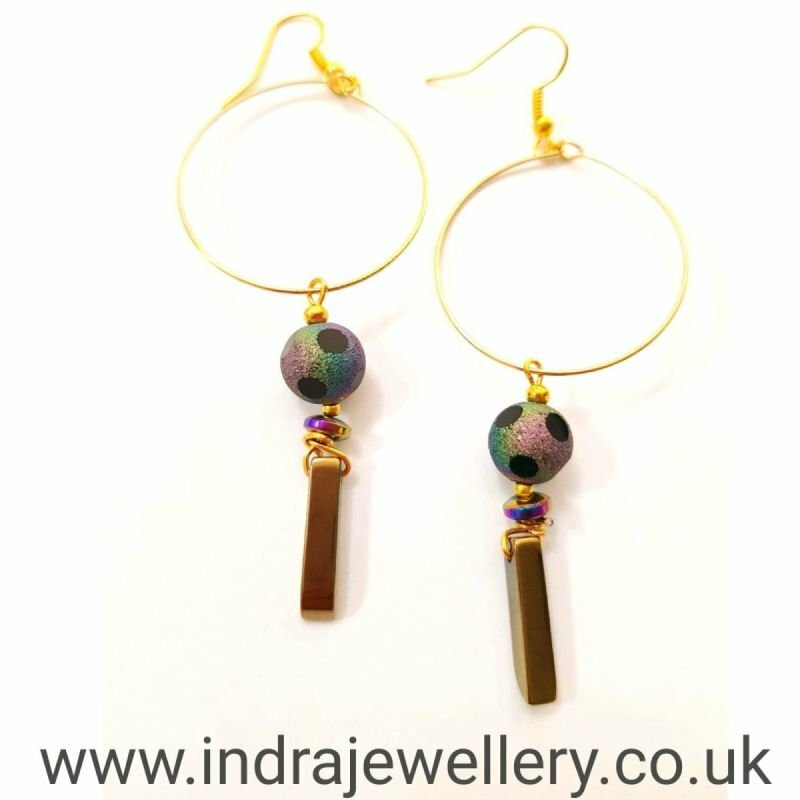 I have used gold plated hoops and attached unusual rainbow electroplated spotted beads, I have added gold hematite bars which I have wire wrapped to secure! This is a pair of funky earrings with a great array of colours!